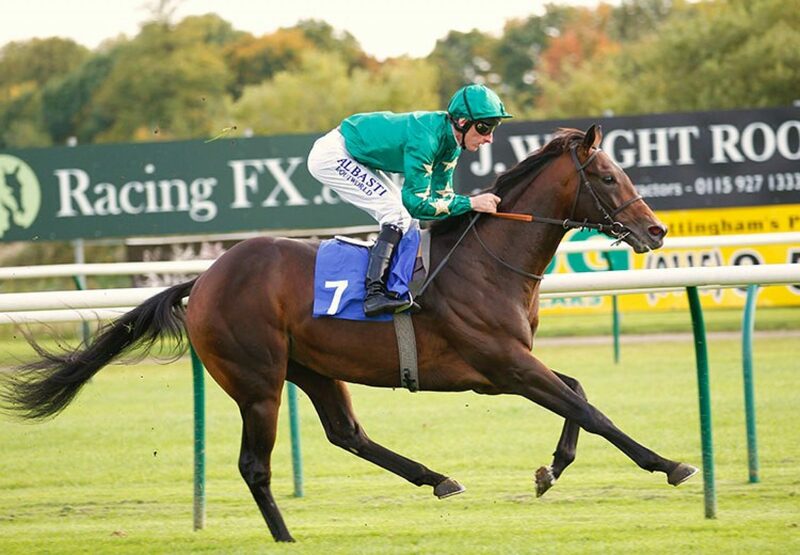 A great week for Pour Moi continued at Nottingham on Wednesday when the Marco Botti-trained Mr Khalid (2c Pour Moi-Island Dreams, by Giant´s Causeway) broke his maiden by seven lengths. Home-bred by Saleh Al Homaizi and Imad Al Sagar, the colt looked an exciting prospect as he coasted to victory under Adam Kirby. “Mr Khalid wanted to go on at the start and I wasn´t going to fight him. He´s a nice horse for the future,” said Kirby of the 2016 Investec Derby entry. Mr Khalid was winning a day after Vincent’s Forever (2c Pour Moi-Glen Rosie, by Mujtahid) made a winning debut for trainer John Gosden. On Sunday, Pour Moi filly Elusive Million (2f Pour Moi-Million Spirits, by Invincible Spirit) won on her first start for trainer Jean-Claude Rouget.